﻿ Is Yo-Yo Dieting Causing Sagging Skin? Is Yo-Yo Dieting Causing Sagging Skin? Last summer, you wanted to look fabulous for your 10 year high school reunion so you went on a crash diet and lost the excess weight. Shortly after, work got busy so you started eating unhealthy snacks and large meals late at night, and gained the weight back. Then you had a friend’s wedding to attend so you lost it again to fit into that perfect dress, and soon enough the holidays rolled around…. Does this sound familiar? So what is yo-yo dieting? Yo-yo dieting also known as “weight cycling” is a fairly common phenomenon where people go on cycles of crash dieting, and then overeating or returning to “normal” eating for the individual. 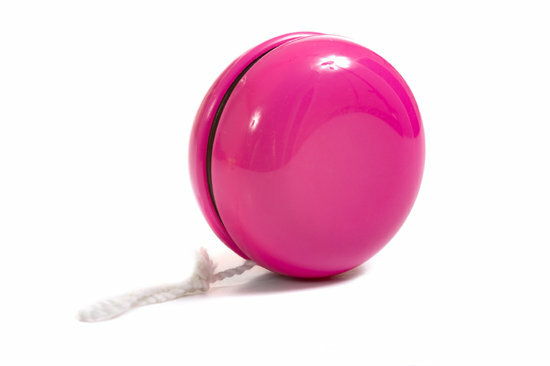 Yo-yo dieting effects hormones in your body including insulin, and effects your metabolic rate as your body is trying to cling onto calories loss due to the crash dieting. Over time, this can result in weight gain especially around the abdomen and noticeable weight gain around the face, neck and chin. In addition, it often effects your self-esteem as people often begin to feel bad about themselves and hopeless that they can not get out of this vicious cycle. How does it cause sagging skin? With continuous cycles of weight gain and loss, there is loss of elasticity and collagen due to the excess stress on your body, making your skin more vulnerable to wrinkling and sagging. What can you do to help the sagging skin that is has already developed from years of Yo-Yo dieting? Ultherapy is the only FDA approved technology to help tighten and lift loose, sagging skin around the face, neck, chin and décolletage area. With ONE treatment and NO downtime, your skin will start to appear tighter and more lifted for a more youthful YOU! Dr. Chugh’s Top Five Tips to Prevent Yo-Yo Dieting? Trying to lose 20 lbs in one month is unrealistic and unhealthy. I recommend a gradual loss of no more than 1-2 lbs/week until a healthy weight is obtained. Plan ahead and set realistic goals so you do not put your self at risk of crash dieting. In addition, I recommend focusing on getting healthy rather than “I have to lose 20 lbs by…..”. Losing weight and getting in shape may seem like one of the most daunting tasks for most people, but losing weight is actually just like any important change you go through in life: marriage, having children, getting a pet, etc. Change your perception from it being a temporary measure to a true lifestyle change. You would not just take care of your kids or dog twice a year! In addition, stop viewing exercise and a healthy diet as a form of deprivation. Find fun ways to exercise like taking a dance class and find appetizing healthy food substitutes (eg. Using a couple slices of avocado on your sandwiches instead of mayonnaise). If you need guidance with your diet, I am happy to help you find the appropriate resources. Another thing that helps is to envision yourself everyday as healthier and more fit. How many of us have made a commitment in the past to lose weight or get in shape, but decided conveniently not to tell our family or friends. Why do we this? So we can cheat. That’s right so we can cheat! Now, if your friends and family know, not only will they be cautious about not tempting you with that delicious piece of chocolate cake, but you will actually begin to commit to your goals and have the support you need. Also, if you have an accountability buddy or group, you can do fun activities together such as biking, going out dancing, hiking, etc! Even if you don’t have an accountability buddy, schedule a fun activity for yourself at least once a week! It is good to keep a food diary or use one of the apps such as myfitnesspal or tools such as fitbit to stay accountable to yourself, as long as it does not itself cause you stress. What I believe is more important is to write down the positive things you are doing on a daily basis such as going for that green juice this afternoon instead of the calorie-loaded caffe vanilla frapuccino. Or the 30 blocks you walked today instead of taking the subway! If you are still struggling with yo-yo dieting, it may be time to get some professional support to help you break this cycle. There may be other things such as stress, emotional eating, insomnia, etc. that may be contributing to this vicious cycle. I am happy to help you get the appropriate support for your individual needs.